Nearly a week after the midterm elections, there are still more than 200,000 votes left to be counted in Arizona. And while voters in the Grand Canyon state are used to having their election results take a little longer -- because of signature verification used on ballots sent in by mail -- the delay has dragged on. “Usually the results are known by the Friday or Saturday after the election,” said Richard Herrera, a political science professor from Arizona State University. The battle to fill the seat left open by outgoing Republican Sen. Jeff Flake has led to a close race between two sitting congresswomen. Republican Rep. Martha McSally started out with a slight lead, but as more and more votes have been counted, Democratic Rep. Kyrsten Sinema has taken over and is widening her edge. 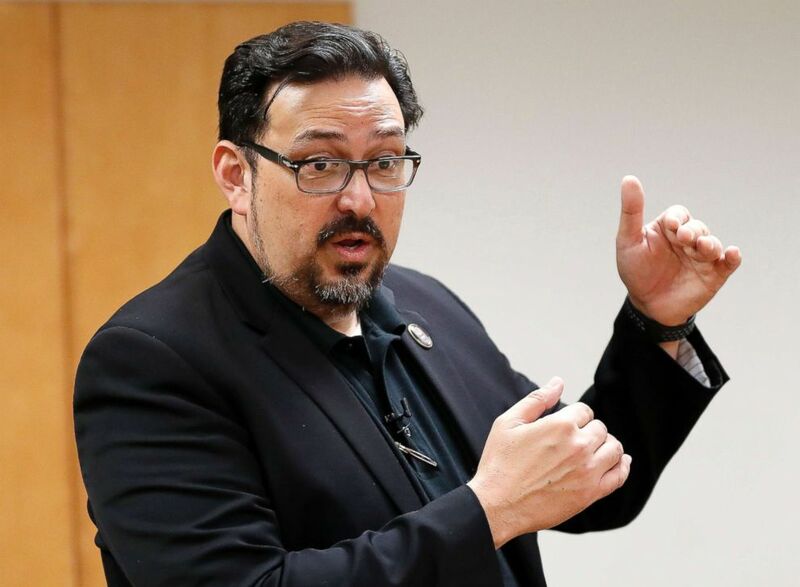 Maricopa County Recorder Adrian Fontes speaks at the Tabulation and Election Center, Nov. 6, 2018, in Phoenix. The race has turned into more of a marathon than a sprint, with daily updates on how many votes still need to be counted in Arizona's more populous county, Maricopa. The Maricopa County Recorder’s Office, which is tasked with counting the results in Phoenix and surrounding areas, has given daily updates since Thursday. The office had about 345,000 votes to process that day, and has processed between 36,000 and 79,000 votes every day since. The office's latest update on Sunday reported that it had about 162,000 still left to process. Other counties in the state still have votes left to process, too. As of Sunday evening, the total number of votes needed to be counted in Maricopa and five other counties was approximately 219,800, according to the regularly updated Twitter account of an analyst in the Arizona Secretary of State’s office. The current spread has Sinema winning with a lead of 32,169 votes, which puts her 1.48 percent ahead of McSally, according to the unofficial count posted on the Arizona Secretary of State’s website. The delay in processing the votes stems from Arizona’s practice of allowing voters to mail in ballots up until and through Election Day. Those ballots then have to be verified based on the signature on the outside of the ballot. If it isn’t instantly matched against the signature that voter has on record, voting officials have to reach out to the voter to verify it. 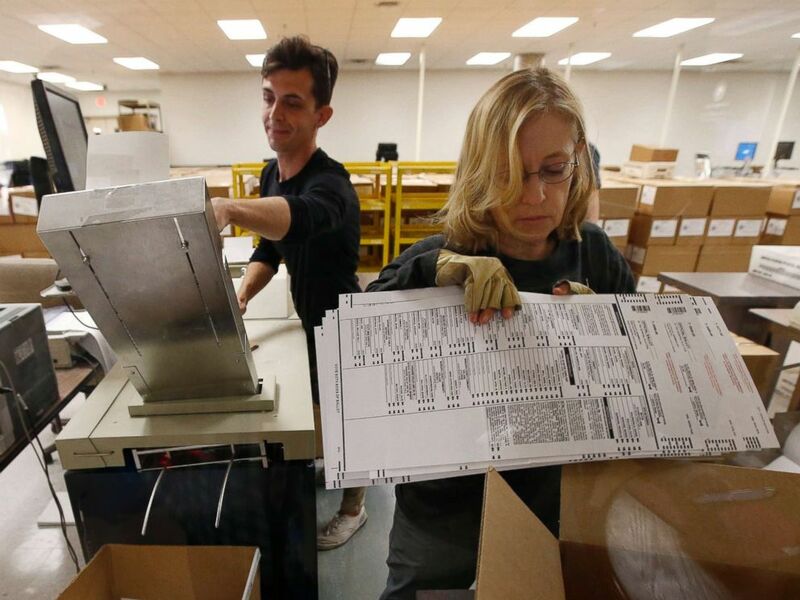 Another factor adding pressure to the count is a recent court decision, which The Arizona Republic reports was prompted by a lawsuit from the state's Republican Party. It stipulates that all counties have to use the same signature verification process but only have until Wednesday to do so. Workers organize ballots at the Maricopa County Recorder's Office Thursday, Nov. 8, 2018, in Phoenix. Maricopa County Recorder Adrian Fontes released a statement Monday afternoon reiterating that the Wednesday deadline isn’t “for counting ballots” but serves as a deadline for voters to verify their eligibility if they cast a provisional ballot and to verify the signatures of mailed-in ballots that were dropped off on Election Day. “We will likely continue the tabulation of ballots into the weekend,” Fontes said in the statement. Herrera said there may be efforts to extend the deadline, but the status of the vote tally by Wednesday could also play a role and make an extension unnecessary. “If by Wednesday every single vote hasn’t been verified, there will still be enough for a result to be known just given the margin between the two candidates,” he said. Both candidates have put out statements over the past week touting what they perceived as different victories from various vote counts in different counties. Either way, the race will be historic. Either candidate would become the state’s first female senator. And if Sinema wins, she would become the first Democratic senator to represent the state since 1995. Herrera called this a “very unusual” race, noting how “turnout was high, higher than usual." "And again, going into it the Republican candidate would have an advantage ... ” he said. "This result is very out of the ordinary."